What Does Code P0152 Mean? 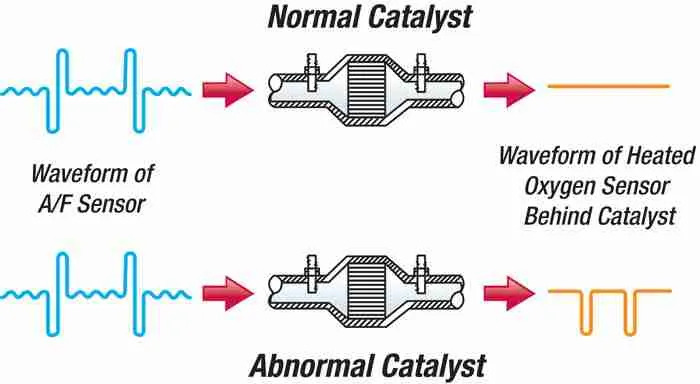 The internal combustion engine ignites a hydrocarbon (HC) fuel, combining it with oxygen (O2), using the resulting energy output to turn the engine. The exhaust stream, ideally, is composed simply of water (H2O), carbon dioxide (CO2), and unreacted nitrogen (N2). 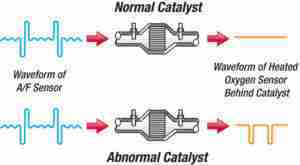 Unfortunately, due to inconsistencies in engine operation, air and fuel temperature, fuel composition, and a number of other factors, exhaust chemistry can be far from ideal. Excessive cylinder temperatures, for example, can lead to the production of nitrogen oxides (NO and NO2). An excessively-rich air-fuel-ratio (AFR) can lead to elevated levels of unburned HC. Other conditions can lead to the production of carbon monoxide (CO), ozone (O3), and PM10 and PM2.5 (particulate matter less than 10 µm or 2.5 µm in size). To reduce these combustion emissions, the engine control module (ECM) monitors air and fuel temperature, intake air mass and flow, combustion pressure, engine speed and load, and more to fine-tune AFR, valve timing and lift, spark timing, and others. 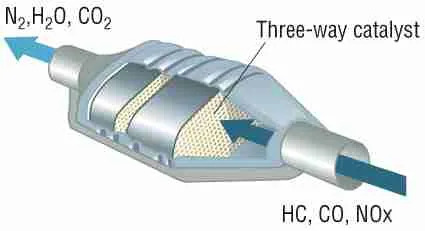 Still, even these controls are not enough to prevent some harmful emissions from forming, so the last step is the three-way catalytic converter (TWC or “Cat”), a chemical filter of a sort, that recombines harmful emissions into safer compounds. Unburned HC and PM2.5 and PM10 emissions combine with CO, O3, O2 to produce H2O and CO2. The ECM compares oxygen sensor readings before and after the TWC to monitor its performance. The AFR sensor, before the TWC, is used mainly as feedback to fine-tune fuel trim (FT), but also is used by the ECM to test the TWC. Under typical operation, the ECM increased and decreases FT, always attempting to zero in on 14.7:1 AFR, using the AFR sensors to verify. Normal AFR sensor readings typically fluctuate high/low a few times a second. If the TWC is functioning properly, the heated oxygen sensors (HO2S) will barely fluctuate at all. Every few seconds, the ECM will force FT higher or lower than normal, which the AFR sensors will react to by showing higher or lower voltage than normal. If the TWC is functioning properly, the downstream HO2S should barely react. If the HO2S voltage peaks at the same time as the AFR sensor voltage, this ECM determines that the TWC is not functioning properly and sets a DTC (diagnostic trouble code) related to TWC function. For reference, Bank 1 and Bank 2 refer to which bank of cylinders, left or right if it’s a V configuration, Bank 1 containing Cylinder 1. Inline engines may be divided, Bank 1 being Cylinder 1 & 2 or 1 – 3. Sensor 1 or Sensor 2 refers to the sensor’s position before or after the TWC. Sensor 1 is before the TWC and Sensor 2 is after the TWC. What are the common causes of code P0152 ? Depending on year, make, and model, DTC P0152 may have number of causes. Here are some of the most common. HO2S Fault – The most common failure is a fault in the sensor itself. Constantly exposed to the elements and to the heat of exhaust, HO2S has a typical lifespan of less than 5 years. Circuit Fault – Because they are exposed to the elements, wire harnesses, connectors, and the sensor itself may be physically damaged by impact or road debris. Water entry and corrosion are common faults. What are the symptoms of code P0152 ? It does one good to note that the HO2S have nothing at all to do with fuel trim and are used only to verify TWC function, though FT problems, such as those caused by fuel pressure or misfiring cylinders, could skew HO2S readings, perhaps even set TWC or HO2S DTCs, but these would not result in circuit DTCs. Most of the time, as the TWC is not critical to engine function, but simply an emissions-control device, you will not notice anything other than the MIL. How do you troubleshoot code P0152 ? 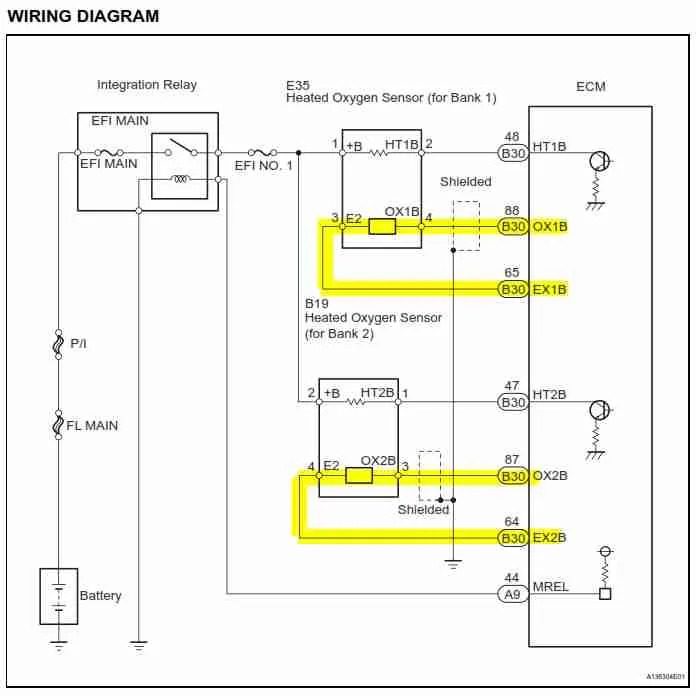 Circuit “High” and circuit “Low” DTCs are set when the ECM detects sensor voltage outside of what the sensor is physically capable of sending. For example, a certain HO2S may only signal between 0.1 V and 0.9 V, higher voltage signaling lower O2 content, and vice-versa. If the ECM detects lower than 0.1 V or higher than 0.9 V, which the sensor cannot do, this means that there is a problem in the circuit or in the sensor itself. Depending on the vehicle, this voltage threshold may be different, so check your repair manual to be sure. You’ll need a DMM (digital multimeter) to diagnose the HO2S circuit. General Checks – First, check fuses and harnesses for any obvious problems, such as blown fuses and chafed or pinched wires. Check the oxygen sensors for damage. Check the connectors for bent or broken pins or corrosion and that they are properly seated. Repair as necessary. Exhaust Check – As a matter of course, use an open mechanic’s stethoscope to check for exhaust leaks, particularly between the TWC and HO2S. Repair as necessary. Circuit Checks – Disconnect the ECM and HO2S. Check for continuity on the two lines. You should have less than 1 Ω resistance end to end and more than 10 kΩ between them and to ground. If you find excessive resistance or a short circuit, repair as necessary. If resistance is proper, replace the sensor. 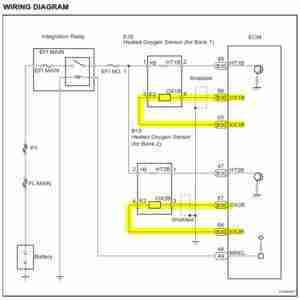 Sensor – Generally, most people simply jump to replacing the sensor, though you shouldn’t condemn the sensor unless you can rule out circuit problems. Check the HO2S for internal resistance. From the heater positive to both sides of the sensor circuit should measure over 10 kΩ. Replace if otherwise. If you can view live data from the HO2S and AFR sensor, compare the two signals. If the HO2S is stuck low or high, you can safely assume a faulty sensor. If you have active testing, even better, as you can attempt to force an HO2S reaction. If you get no response, suspect a sensor or circuit fault.